Supports your pet's ability to learn, retain memories, think and concentrate. Provides cognitive focus and mental agility for your senior pet. Easy to administer chewable tablets. 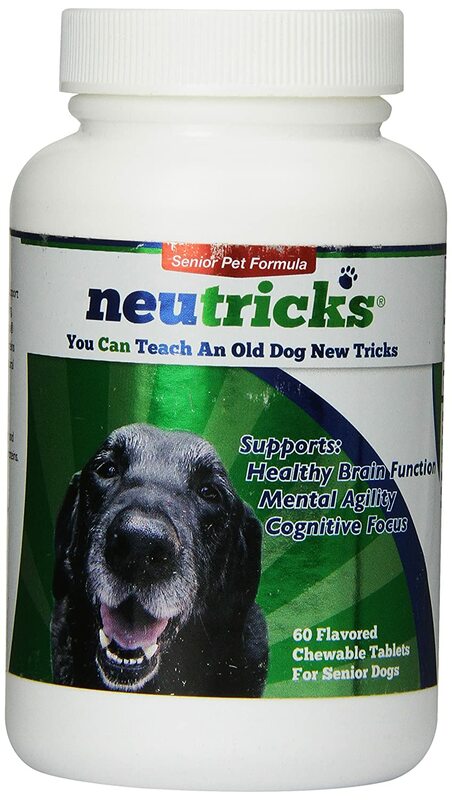 Neutricks for Senior Dogs flavored chewable tabs supports a healthy brain, mental agility and cognitive focus for senior dogs. Sustains your pet's ability to learn, retain memories, think and concentrate. Protects brain cells during the natural process of aging.